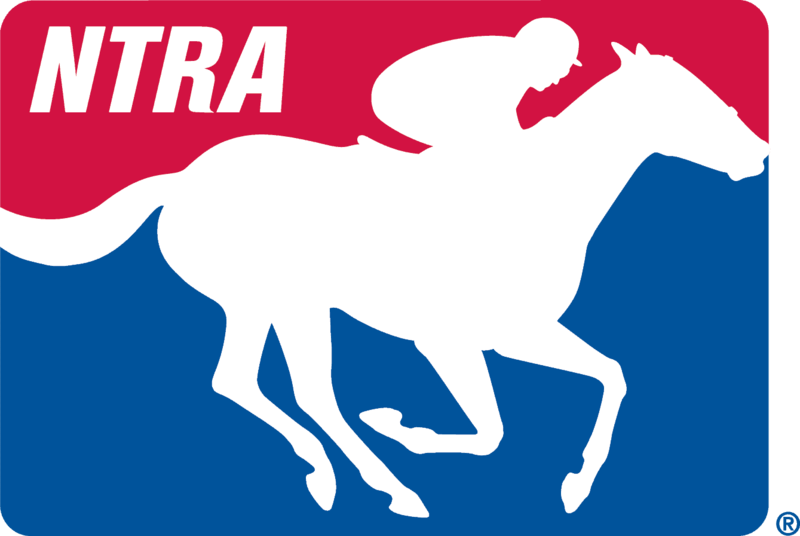 Eric Wing: Thank you and welcome indeed to today’s very special NTRA Communications National Media Teleconference. Today we’ll be focused on the 144th Belmont Stakes, taking place a week from Saturday, June 9th A little bit later in today’s call we’re going to have the pleasure of chatting with some past winners of the Triple Crown during that golden era of the 1970s. Representing Secretariat will be his owner, Penny Chenery, and his rider, Ron Turcotte. Representing Seattle Slew, the 1977 Triple Crown winner will be co-owners Sally Hill and Slew’s trainer, Billy Turner. And of course the most recent winner of the Triple Crown was 34 years ago in 1978, and to talk with us about Affirmed will be co-owner Patrice Wolfson and the Affirmed’s rider, Steve Cauthen. All the television action associated with the Belmont Stakes will be covered here in the U.S. by NBC and the NBC Sports Network. I just want to go over the schedule real quickly with you. On June 8th, NBC Sports Network will have a Belmont Classic Show airing from 4 to 5 p.m. eastern, and then from 5 to 6 p.m. eastern on NBC Sports Network is a live telecast that will include both the Brooklyn Handicap and the Chiper Stakes (ph) here at Belmont Park. And then on the big day, Saturday, June 9th, NBC Sports Network will have the undercard stakes races on Belmont days, 3 to 5 p.m. eastern live, and then the big show, the Belmont Stakes itself on NBC 5 to 7 p.m. eastern. And then NBC Sports Network will kick in at 7 p.m. with a special half hour Belmont Stakes wrap-up. One gentlemen who will be front and center throughout most, if not all, of that—of those many hours of coverage is NBC’s outstanding horse racing analyst, Randy Moss. And we’re pleased to have Randy join us now. Randy, welcome to the call. I think it’s fair to say the vast majority of eyes on June 9th will be on I’ll Have Another. As you look at the race objectively, what do you see as I’ll Have Another’s primary obstacles to victory a week from Saturday? Randy Moss: Well, when you look at the eleven horses that have failed in the Belmont Stakes in their bid for the Triple Crown since Affirmed last pulled it off, you can see an assortment of obstacles there. I mean, first of all I’ll Have Another has to get up to the race the next and a half in good health; he has to handle the mile and a half distance; and, he also has to deal with a growing trend in the Triple Crown, and that is those horses that run in the Kentucky Derby then skip the Preakness Stakes to freshen up, and lie in wait in the Belmont Stakes. We’ve got Union Rags, Dullahan, and Alpha, who are three horses that ran in the Kentucky Derby that are following that exact pattern. So there are no shortage of obstacles facing I’ll Have Another. But clearly if he holds form and he runs the race in the Belmont that we ran in the Preakness Stakes, it’s his race to lose. Eric Wing: Randy, one obstacle that you didn’t mention was one that seems to have cropped up at least a couple of times in the last 10 or 15 years, and that’s a rider’s lack of familiarity with Belmont Park. To what degree do you think that could play a factor with jockey Mario Gutierrez? Randy Moss: Honestly, Eric, I think some of that is a big overrated. If I look at the losers in the Belmont Stakes that were going for the Triple Crown since Affirmed pulled it off, I mean, my opinion is I can only conclusively point to one as being jockey error, indisputable jockey error, and that would be Spectacular Bid in 1979, when Ronnie Franklin set him out early after a—after a hopeless long shot, and just burned him up in the early stages. Spectacular Bid turned out to be clearly one of the greatest horses of all time and should have won the Triple Crown. I know some people are critical of Kent Desormeaux’s ride on Real Quiet in 1998. But to me, you give me a four length lead at the eighth pole and I’ll take it any day of the week. And it took a historic stretch run by Victory Gallup to run him down. And then with Smarty Jones in 2004 there were people who were critical of Stewart Elliott as well. But the horse was pretty keen going into the back stretch. It was a very slow opening quarter and when the pressure got ratcheted up on him, the horse just got very, very eager and I think Stewart Elliott had a choice of either wrestling with Smarty Jones or letting the horse do what he wanted to do. And I can’t fault him for giving Smarty Jones his head and not fighting him. So I think that the jockey angle of it, as far as jockey error as it pertains to Belmont Park, has been a bit overrated. Having said that, I think Mario Gutierrez obviously needs to ride at Belmont Park to familiarize himself with the oval, because it is unusual in that it’s a mile and a half in circumference. The poles are all in different places. But he’s a professional and there’s no reason to think that he won’t be able to handle that. Eric Wing: Randy, before I turn it back over to Michelle for any media questions, I just want to ask you a personal question. The NBC broadcast crew that assembled to covered the Belmont is not just a very deep and accomplished team, but also a very seasoned one. I mean, we’re talking about people like yourself, Tom Hammond, Gary Stevens, Bob Costas, Neumeyer, Battaglia, Rice, Brothers, et cetera, Jerry Bailey. For a day like June 9th, will you guys be nervous? Randy Moss: I—probably when the horses are loading in the gate there will be a little apprehension. And I think it’s not just because we’re doing the telecast but I think every big racing fan in America that wants to see a Triple Crown is going to feel some butterflies when the horses load into the gate. It’s that—it’s that apprehension of what’s going to happen? Is this going to be that historic moment? I mean, with Smarty Jones in 2004, with Big Brown in 2008, I kind of felt that way as well. So I think the butterflies are just mainly butterflies of anticipation as much as anything else. Eric Wing: Now that’s pressure. Okay, Randy, this is great. Michelle, let me turn the call over to you now, and if any media members have any questions for Randy, you can feel free to jump in now. Operator: Thank you. Ladies and gentlemen, if you would like to ask a question, press star, one on your touch-tone phone. If you are on a speaker-phone, lift your handset before entering your request. We’ll pause for a moment to assemble the queue. The first question comes from John White of HRTV. Please go ahead. John White: Randy, one of your strengths as a handicapper is pace. And based on the deal that is currently considered probable for the Belmont, how do you see the pace for the Belmont? Randy Moss: I don’t see it as being a Belmont Stakes at least on paper that would be abnormally fast-paced or abnormally slow-paced. I think, in fact, I think there’s a good possibility that I’ll Have Another is going to get a beautiful trip because you’ve got a horse named Painter, trained by Bob Baffert, who’s coming off that Dynamic Allowance win on the Preakness undercard at Pimlico. He has speed. And then there’s another horse in the race that’s just joining the fray for the Triple Crown called Unstoppable U, who’s also shown some speed in his two previous lifetime races. So Mario Gutierrez could just fall into a beautiful trip sitting third behind two speed horses, and if that happens we’ll just see if I’ll Have Another’s good enough. Operator: Thank you. The next question comes from Danny Brewer of Rutherford Reader. Please go ahead. Danny Brewer: Hey, Randy. You talked about the butterflies and everything. But isn’t that one of the things that makes this sport so great? Randy Moss: Sure. I mean, it’s—there—I guess there are differing ways to look at it. It’s a sport from a television perspective with a lot of build-up and very little actual action. But that’s part of it, you know. I mean, when you get to the Kentucky Derby, for weeks we’ve gone over the relative strengths and weaknesses of the horses. And we’ve spent hours on the air, on NBC Sports Network and NBC itself, pouring over the details of the horses and the storylines of the connections. You know, so that by the time the horses are actually at the starting gate, we’ve had so much build-up to the Derby that it really ratchets up the tension level. So when you get the Belmont Stakes and you have a possibility of a Triple Crown, I mean, that just heightens the anticipation to yet another level. Danny Brewer: Talk for a second about Union Rags. Do you see any similarities between him and, say, Empire Maker that Jerry Bailey road in 2003? Highly regarded horses, kind of disappointed, but took the (inaudible). Do you think he could be that horse? Randy Moss: Well, I mean there is a similarity in that they both ran in the Kentucky Derby, were withheld from the Preakness to await the Belmont Stakes. When Empire Maker ran in the Kentucky Derby in 2003, even though he was beaten by Funny Side, you could make a strong case that he was the best horse that day given the trip that he had. He had a very wide trip and he was only beaten by about I think a length and three quarters that day. Union Rags, on the other hand, did have some difficulty at the start of his own making. He broke a step slow from the gate, but he finished seventh and was beaten seven and a half lengths. So he didn’t have the same kind of run in the Kentucky Derby as Empire Maker did. But when you look at these horses that run in the Derby and skip the Preakness to await the Belmont, losing by seven and a half lengths in the Derby and coming back to win the Belmont is no big deal. In 2000, Commendable was beaten 26 lengths in the Derby, skipped the Preakness, and won the Belmont. Summer Bird beaten 15 lengths, Jazzle nine and a half. Birdstone was beaten 15. Summer Bird was beaten 13. So we’ve seen quite a few turnarounds from the Derby to the Belmont in the last decade or so by horses that have been given that five weeks to freshen up. Danny Brewer: Appreciate your time. Thanks a lot. Operator: Thank you. The next question comes from Debbie Arrington of Sacramento Bee. Please go ahead. Debbie Arrington: On that same discussion, do you see any horses in this field that could upset I’ll Have Another? Randy Moss: It depends on, I think, on whether I’ll Have Another runs the same race in the Belmont Stakes that he did in the Preakness. Historically a surprising number of horses who ran in the Derby and Preakness and went to the Belmont with a chance to sweep the Triple Crown, did actually come back and run their races in the Belmont, but they were just simply out-run by a horse who just happened to be better on that day at Belmont Park. I’ll Have Another does have an advantage in that when you look at his entire three year old campaign, it probably helps him that he was given a break between February and April, between his first start of the year and then the Santa Anita Derby. That maybe gives him a little bit more gas in the tank. But looking at all the horses in the field, I think the horse with the best chance to beat I’ll Have Another would be Union Rags. I mean, I’m going right back to the horse that I picked in the Kentucky Derby, and a horse that’s definitely been an underachiever in this last couple of races, but the way he trains, the way he looks, he still obviously has the feeling that there’s a lot more there that we just simply haven’t seen yet this year from Union Rags. And in Painter, trained by Bob Baffert, coming off that very impressive win at Pimlico. And if he were able to control the pace with a very comfortable early lead in relatively leisurely fractions, which you’d have to think would be at least a possibility, then he could prove to be very troublesome as well. Debbie Arrington: Okay, thank you very much. Operator: Thank you. The next question comes from Mike Brunker of NBCSports.com. Please go ahead. Mike Brunker: Hi, Randy. Much has been written for a long time now about horse racing’s general decline in popularity and that. And right not we’ve got a lot of other turmoil going on around the sport. You know, a lot being written about drug use and the situation in New York and elsewhere. How much can a Triple Crown, if this one comes to pass, kind of reverse that whole trend and get people to take a fresh look at the sport and really kind of, you know, make a difference? Randy Moss: A Triple Crown winner certainly wouldn’t hurt. But I’m not of the opinion that it’s going to be a panacea for all the various ailments that thoroughbred racing has right now. It will help in the short term because it obviously will give the sport some positive publicity that it hasn’t been getting much of in recent weeks and months. But the fact still remains that thoroughbred racing has some work to do to improve itself, not only in the public eye, but also administratively, et cetera, et cetera, to regain the public confidence. And hopefully that’s something that the sport will tackle on a nation-wide basis. Operator: Thank you. There are no further questions at this time. I’ll turn the conference back to Mr. Wing. Eric Wing: Okay, well, Randy, very good of you to join us on this call and share your thoughts with us, and we wish you and the rest of your colleagues on air there at NBC the very best of luck with the task you guys have at hand, and that’s coverage of the 144th Belmont Stakes. Appreciate your participation today. Randy Moss: All right, Eric. Take care. We got a nice line-up for Saturday for the Belmont Show. Got a lot of pretty interesting—very interesting features, including one on the background of Mario Gutierrez. It’s a very dangerous part of Mexico that he’s from, El Higo, Mexico, so that will be something people will want to tune in and watch as well. It’s going to be fun. Eric Wing: All right. It sounds like it. Thanks again, Randy. That’s NBC Racing Analyst, Randy Moss. He just mentioned the feature they have on Mario Gutierrez. In fact this Saturday Univision will have a segment on Gutierrez on their regular news magazine show at 7 p.m. eastern. They talk more about just a young jockey’s rise from relative obscurity in Veracruz, Mexico. That will be on 7 p.m. eastern on Univision this week. And of course, Randy, again, will be joined on the NBC telecast of the Belmont Stakes by star-studded crew, Tom Hammond, Gary Stevens, Bob Costas, Bob Neumeyer, Mike Battaglia, Jay Privman, Kenny Rice, Donna Barton Brothers, Jerry Bailey, Laffit Pincay, and last but not least, track announcer, Larry Collmus, who will be calling the—I’ll Have Another’s attempt at history. And just want to let people know that NBC, NBC Sports will have a conference call next Monday afternoon with other members of the broadcast team. Time is still to be determined next Monday, but Adam Freifeld over at NBC will certain let everybody know ahead of time on the time and dial-in details as we get closer to Belmont Stakes week. Okay, now I have the privilege of doing something that we get to do from time-to-time when circumstances warrant, and they certainly warrant this year and that’s a chance to visit with some of the rare few who have actually experienced Triple Crown success. With us on the call right now is Penny Chenery, the owner of Secretariat; her rider, Ron Turcotte, who was aboard during that unforgettable Belmont Stakes victory by 31 lengths. We also have a pair of the Slew Crew with us; Sally Hill, co-owner of Seattle Slew, and her trainer, Billy Turner. And also from Affirmed’s camp we have Patrice Wolfson, and rider, Steve Cauthen. I welcome all six of you to today’s call. Thank you very much for joining us. And my first question is to Penny, and I’m going to—to not risk offending everybody by going in chronological order of your Triple Crown successes. And so I’ll start with you, Penny. It’s great to have you on, Penny. Eric Wing: In 1973 Secretariat broke what seemed like an interminable 25 year drought of Triple Crown winners. Now we’re in the midst of a 34 year drought. Do you feel that the Triple Crown has become somehow harder to win since the golden age of the 1970s? Penny Chenery: Yes, I think it has because of the reasons for which we breed horses. Back in the 70s we were still breeding horses to race them and so much of the industry now is concentrated on sales. And so you breed a precocious, good-looking, early speed horse who isn’t equipped to go a mile and a half, or to run three hard races in five weeks. We just have a different set of goals with the horses that we breed now and it will take a remarkable individual to complete this. I happen to think that I’ll Have Another can do it. Eric Wing: Okay, so we’ve got one vote in favor of I’ll Have Another winning so far. Let’s move on. Thank you, Penny. Ron Turcotte, much has been made about the fact that Mario Gutierrez has never ridden at Belmont Park. You know that track layout as well as anybody alive. To what degree do you think I’ll Have Another is at a disadvantage because of his rider’s unfamiliarity with the track? Ron Turcotte: I don’t think it will be no problem at all. I watch Mario ride and he’s very cool rider. He (inaudible) over the right time. The horse—his horse is relaxed, and I think he can place him pretty well where he wants to. And I really like the horse. I like Mario riding him. I don’t think it will be no problem at all whether he rode it on the track or not, but he’d be—I guess it would be some advantage if he did ride a few races before, but regardless where he’s going to ride, it’s not going to be a mile and a half, anyway, because he ride very few races going a mile and a half anymore. The game’s really changed. We used to run two miles. Now they don’t hardly run a mile and a quarter, a mile and a half. You may have ridden a mile and a half a lot on the grass and the horses seem to handle it all right, but you see very few on the dirt. Eric Wing: Which is part of what makes the Belmont Stakes extra special. Sally Hill, it seems absolutely absurd to be saying this now, but once upon a time, Seattle Slew was viewed by some as a cheap yearling purchase who perhaps wasn’t worthy of having his name alongside legends like Secretariat, Citation, and the others. Do you feel a bit of a connection with the I’ll Have Another group given their horse’s humble beginnings? Sally Hill: To tell you the truth, I really hadn’t thought that at all. You know, a horse makes his name and makes his pedigree and we certainly were very fortunate with Seattle Slew, that he did step up and not only was a really great racehorse, he carried that right into the breeding shed. I just have never thought of it that way. Certainly you’re exactly right. There are a lot of people who said by his breeding and the fact that we only paid $17,500 for him, you know, he really couldn’t and probably wouldn’t run as well as he did. Eric Wing: Well, I guess that’s why they run the race. A week from Saturday we’ll all find out. And Billy Turner, welcome to the call, and I know from reading Daily Racing Forum that you have an extended conversation with Doug O’Neill just yesterday, I believe. Can you share with us some of what you guys discussed and any advice you might have given Doug as he prepares his horse for an attempt at history? Billy Turner: I must admit, he impressed me. He asked me the questions. He asked me the same questions that I asked the people in Kentucky when I went down there for the Derby, because I wasn’t that familiar with Kentucky and how they do things in the racetracks, and all that. And Doug wanted to know the ins and outs of training on a mile and a half racecourse and he wanted to know if he could use the paddock in the morning, and things like that. They’re all little things, and what I thought of the gate crew. And those are the right questions. And I was—I—he’s very astute and he’s covering all bases. So he’s taking this thing very seriously. Eric Wing: All right, and thank you, Billy. And Patrice Wolfson, for the last 34 years it’s been Affirmed who has held the honor of being racing’s last Triple Crown winner. Will a part of you, even a very small part of you, be disappointed to lose that special distinction should I’ll Have Another win a week from Saturday? Patrice Wolfson: Hello, everybody. I’ll tell you, I think this horse has a lot of tenacity. He really loves to run and looks like he wants to win. And he looks like he would be a good successor if it comes about. There were times I didn’t feel as though we were ready to relinquish it, but maybe the time has come now, and I certainly think racing needs a horse that will bring a lot of excitement and this little guy I think can do that. I watched him gallop on television and he sure—he sure, you know, strides out beautifully in his gallops and he can be very exciting. Eric Wing: Thank you, Patrice. And Steve Cauthen, thank you as well for being on with us. Even though you were only 18 years old at the time, you already had a reputation back then of being completely unflappable in the saddle, and that’s one thing that’s impressed a lot of people about Mario Gutierrez, who is relatively inexperienced probably compared to the riders he’ll be in against, but he certainly has not shown any nervousness before, during, or after his first two Triple Crown rides so far. How important is that ability to kind of zone in for a race that has as much on the line as the Belmont Stakes? Steve Cauthen: I think it’s very important, and as you said, I think Mario seems to have his head on his, you know, really level headed guy. You say, I guess, if you grew up in Mexico this is nothing. Probably some of the stuff that he went through as a kid or saw, and so you know, I know from just listening to—reading some of the interviews that he’s very close with some (inaudible) some certain friends, I guess, some of the people that he’s got acquainted with up in Hastings. And just having the attitude that, you know, you can always do his best, give you 100%, and I think he’s also said is 100% confident that the horse will, and go out and give it your best shot. I think that’s a great attitude to have. I know obviously he’ll think it through and try to figure out how best to ride this horse, where he’d like to be. But of course, when the gate opens that can all change in a heartbeat. I think it’s also so important that, you know, Doug O’Neill and Mr. Reddam have fullest confidence in him, and having knowing that, it was very important to me, having the Wolfsons and Laz Barrera’s total support, and it made me go into the Belmont knowing that I was their guy and they just expected me to do my best. I’m sure he’ll do great. Eric Wing: All right, thank you, Steve, and it’s time now for you and the media listening in with us to have your turn. Again, we’re joined by Penny Chenery, Ron Turcotte, Sally Hill, Billy Turner, Patrice Wolfson, and Steve Cauthen. We do ask that due to the large number of media members we have on with us listening in that you limit your questions to one per guest, and also do be mindful of the, as I said, the other media members who are queuing up to ask a question. And having said that, let me turn the call over one more time to Michelle, and she’ll check in with the media for their questions. Operator: Thank you. Ladies and gentlemen, if you do have a question, please press star, one on your touch-tone phone at this time. And I would like to remind our guest speakers, please state your name when answering the question from the media. Our first question will come from John White of HRTV. Please go ahead. John White: First of all, thank you to all of you Triple Crown connections; Secretariat, Seattle Slew, Affirmed, just so great that we had those horses and for all that you’ve done in racing. This is for Penny Chenery and Ron Turcotte. When Secretariat won the Belmont Stakes, I’m sure the crowd was going crazy. We see that when we watch the race back. So I’m thinking that at the time, Penny and Ron, you really were not aware. Of course, Ron, you were pretty busy on the horse, and I’m thinking that you didn’t get to hear Chic Anderson’s call of the race, especially with that phrase: he’s moving like a tremendous machine. So I’m just wondering what your thought is of that call by Chic Anderson of Secretariat’s Belmont. And first, if you could go, Penny, and then Ron. Penny Chenery: Well I’ve heard it—this is Penny. I’ve heard it so often it’s engraved on my heart, but it was a brilliant call. There was no way to describe. You had no set phrases for horses out there by 25 lengths and just cruising. The thing about Secretariat and the Belmont, that was his home track and I think it’s a great advantage to face that huge home stretch to be familiar with it. It’s got to be intimidating for both the horse and the rider. Ron? Ron Turcotte: Yes. My name is Ron Turcotte. Yes, I did hear the call. I was back there by myself and when you’re alone like that (inaudible) front especially the only clickety clack you hear is the one off your horse. And I kept hearing the call and when he came around the turn he says I was 15 lengths in the front and then 20 lengths in front. My curiosity got the best of me and I just took a peak at the back. Matter of fact I turned—I turn in the saddle and looked back and then I think it’s about the place where Lucien said, “Oh, my God. Ron’s going to fall off.” But all I could see was the people jumping up and down in the stretch and I wasn’t worried at all because I hadn’t set my horse down at all. The only time I cheered to win was just when I saw the guy with flowery pants on—above the wire, it must have been at the starting point, something like that, where the guy was standing. I (inaudible) to win and just knuckled down a little on him, but I—I was very confident. I was going—very confident going into the race and I remained confident during the race, and I didn’t think there was a horse in the world could beat that horse the way he trained. John White: But just to set the record straight too. There were two calls in the race: Chic Anderson for TV, Dave Johnson who was calling the race at the track that day. And thank you very much both of you for your recollections of that tremendous performance by Secretariat. Thanks so much. Operator: Thank you. The next question comes from Don Jensen of Tampa Bay Times. I’m sorry, please go ahead. Don Jensen: Yes, thanks to you all for coming on the teleconference. Steve, I’d like to direct a question to you. How does Mario’s career kind of parallel with yours on your run to the Triple Crown? Steve Cauthen: Yes, this is Steve Cauthen. Yes, actually the—the more I’ve gotten to know about its history and it’s similar. I mean, he’s obviously a few years older than me, but obviously just arriving on the sort of main scene. I guess he came from Mexico as was said. I think he rode down there some before he went to Canada. And then he was up there for a few years. But he’s just really recently, actually even probably more recently than me. I mean, he’s been riding up in New York for a while at that time. You know, on the racing scene of the major races. And I can very much relate to his excitement and just it sounds like he just feels really grateful that he’s got this opportunity which is very much how I felt when I got on Affirmed. You know, had the opportunity to run in the Triple Crown races and actually ride a horse that had a chance. So I’ve been very impressed with his demeanor, his attitude, the way he couldn’t have ridden the horse any better in both the Derby and the Preakness, and I see no reason why that won’t continue. Obviously having some experience at Belmont is, you know, I think good and from what I understand they’re going to let him ride a few races and I think that will probably be very adequate just so you get a feel of—it’s just such a different sized track. The track’s wider, the turns are so much more sweeping, and just to know where you need to start thinking about making a move would be easy to get ahead of yourself if you hadn’t ridden a few races there. Don Jensen: Thank you very much, Steve. Operator: Thank you. The next question comes from Robin Topping of Newsday. Please go ahead. Robin Topping: Yes, hi. This question is for the owners. And thank you very much for speaking with us. I wondered how winning the Triple Crown changed your lives? Penny Chenery: This is Penny. Winning the Triple Crown absolutely changed my life. I had been—I had been a good wife, a good mother, and I was 50 years old, and dying for something new and interesting and here’s this horse came along and presented me with so many challenges and opened so many doors. It was just crucial. He was my lifesaver. Robin Topping: Thank you. Anybody else? Sally Hill: This is Sally. Yes, this is Sally Hill. Certainly winning the Triple Crown is going to change your life. For us it enabled us to really stay in the racing business and go into the breeding end of it and it’s been a very exciting time. It still is. We unfortunately don’t have a great horse like that right now but you’re always hoping for one. That’s why you stay in the game. And as Penny said, I totally agree, it opens many doors for you. We met some wonderful people; people that now we’ve known for 35 years that were racing against us at the same time, and it’s—it was a fascinating time when it happened and it’s been a great comfort always to know that you had this happen to you. Robin Topping: Okay, thank you. Patrice Wolfson: Okay. I feel as though I was not really a young bride but I married Lou in ’72 and Affirmed was a foal of ’75. And so he was the young, you know, the young little foal in the farm. And years later I was telling Steve Cauthen the other day that I’m just putting together a little website for Affirmed. And I can’t believe all the things that I’m looking at, and enjoying, and putting together. And it just comes right back again. It just—it happened—just happened—34 years ago is happening right now. And I’m enjoying this, learning the iPads and technology of today. It’s been great. It’s giving me a new career, using this photography. Robin Topping: Thank you so much. Danny Brewer: This is for Penny. Miss Chenery, can you talk for a moment about the relationship that you had with Secretariat? Because obviously there had to be a lot of faith there for you to take the gambles and do the things you did with this horse. So what allowed you to have that kind of faith in him? Penny Chenery: In the first place he was beautiful. He was very well bred. Our best mare and the outstanding sire at the time. And I really didn’t have that much faith in him. I thought he was just too good-looking to be any good, so every time he did something I had more faith in him. I never allowed myself to expect that he would accomplish the next goal. And by the time we retired him, if he lost any races it was our fault, and he deserved all the honor that he’s received. He was just a wonderful horse and we were so lucky to have him. He had two out of three of the track records. We’re asking for a hearing with the Maryland Racing Commission to review with the new technology and see if we can’t get the time that the hand-clockers noted at the Preakness to see if that can’t become official. I don’t want to be greedy but I think if the horse did run that fast it should be recognized. Danny Brewer: Thanks, and I’ve got one more question. This is for the Seattle Slew folks. Eric kind of touched on this earlier. Does him being—coming from ends, you know, from such meager beginnings, so to speak, you didn’t pay much for him and he won the Triple Crown. Does that make it even more special to you folks to have a horse do that? And I’ll Have Another is kind of like that, in the same aspect. Sally Hill: This is Sally. Billy, do you want to go first? Go ahead, Billy. Billy Turner: No, you go ahead, Sally. Sally Hill: Well, yes we didn’t pay very much for him. That’s for sure. And we got very lucky. He was in great hands in Billy Turner, who brought him along extremely well. He didn’t have him peaked at the Kentucky Derby time. He wanted him to be able to carry it on through, which he was able to do. Billy, why don’t you step in? Billy Turner: Interesting point. When Slew came along and with sales and so forth, it was before they had pedigree computer programming. And since that’s come out, Seattle Slew, if you could break it down in the program, he has a very, very powerful pedigree. And that’s why it’s been no—it’s been no surprise to anybody that he’s made such an outstanding sire. But we didn’t have those programs in those days, and it was easy to overlook a horse like that. I don’t think it would happen today. Sally Hill: This is Sally Hill. One more thought on that. My husband, Jim, who’s a veterinarian practicing on the racetrack, he had taken care of the sire of Seattle Slew, Bold Reasoning, during his racing career. And he knew the heart, and the courage, and the determination that that horse had had during this career because Jim had taken care of him in a veterinary position. And so he was very interested when he went to the sale to look at any Bold Reasoning, because this was the first crop of Bold Reasoning. He was looking for exactly what he found when they bought Seattle Slew. Danny Brewer: So I guess the inside information was a good thing in that case. Sally Hill: Yes, it was. Danny Brewer: Thank you very much. I appreciate you folks coming on. Operator: Thank you. The next question comes from John Powers of Boston Globe. Please go ahead. John Powers: Yes, hi. A question for Billy Turner. Billy, a couple of people have mentioned that one difference between now and then is you seem to have more horses skipping the Preakness, resting up for the Belmont. And also in some cases horses bred for distance specialize and run the Belmont. How true is that from what you can see and how much of a difference might that make? Billy Turner: This is Bill Turner again. I’m not exactly sure that anything’s changed in that respect. For a long time people have skipped the middle race or just skipped the first two just to run in the Belmont. And when you do—well, Woody Stephens had several that did that more or less, and he was very successful with the Belmont because, one, he trained here at Belmont and he had horses that would go out there and train every day on that great big old racetrack and then they’d come up out there in the afternoon and they weren’t the best horses but they won because they were at home, they knew the racetrack, and they just—that was it. They were fresh and so I think that had a lot to do with it. John Powers: Good, thanks, Bill. Debbie Arrington: Good morning and thank you very much for coming on today. This question is for Steve and Patrice. I’ll Have Another is a beautiful chestnut, a lot like Affirmed. Is there anything else that reminds you of Affirmed in this horse? Patrice Wolfson: Steve, are you going to take it? Steve Cauthen: Yes, this is Steve Cauthen. Just—he—I’ll tell you what I love about him he just seems here—he really has a lot of try in him. You can just tell the way he dug in, in the stretch at the Derby and particularly in the Preakness. He likes to run, he likes to battle. He’s not afraid of a battle and I think that as much as anything the best thing he’s got going for him. He’s a very relaxed horse like Affirmed was. Nothing seems to bother him. He’s well balanced. He’s just an easy moving horse and hence as we say, in the three weeks between the Preakness and the Belmont are a long three weeks we’re in that something’s going to happen negatively towards your horse. But these kind of horses look after themselves and it seems like avoid these little (inaudible) because they’re just athletic and they take care of themselves. Debbie Arrington: Patrice, do you have anything else? Patrice Wolfson: Being in on the rail like he was and the both of them. It was incredible. It was something none of us will ever forget. We have to remember what Alydar was putting pressure on Affirmed, and then Steve reached back and gave him a little—what did you give him, Steve? A wake up call. Steve Cauthen: A little squeeze and a wake-up call. Yes, (cross talking) worked. Steve Cauthen: He had the heart to do it. Patrice Wolfson: Yes, he wanted to win. Debbie Arrington: Thank you very much. Operator: Thank you. The next question comes from Jennifer Paull of Vet Street. Please go ahead. Jennifer Paull: Hi, it’s an honor to speak with you all today. My question is for Mr. Turcotte and Mr. Cauthen. I wanted to know if you could share some of your strongest memories of the race, from the moment you were loaded into the gate to crossing the finish line; how you felt, whether you had any personal good luck rituals, or sort of what was flashing through your mind as you’re pounding down the—pounding down the course? Ron Turcotte: Steve, you or me? Steve Cauthen: You go ahead. You’re first. You’re first in the line-up. Ron Turcotte: Thank you very much. I’ll tell you, when I wanted to—before I loaded into the gate, I thought our hardest job was behind us. I thought—I always thought that the Belmont was the easiest of the three races. You’re going into unknown territory when you go to the Derby. There’s horses you haven’t even seen let alone ride against them or have ridden them before. And the Preakness, well, they’ve pretty well separated themselves and when you get by that one, if your horse can handle any kind of track, I could have won two Triple Crowns if I’d been lucky enough to get a fast track at Pimlico with Riva Ridge the year before. But I always thought the mile lap is a very easy race on a horse and easier—I think it’s easier to ride. You can overcome a lot of problems that still get up there and win, and I think it’s easier on a horse. So I was very confident. Go ahead, Steve. Steve Cauthen: Okay. Steve Cauthen. Really, obviously I remember walking down the stretch and I was just so focus on Affirmed and I was really happy with his relaxed nature obviously. He’d had a couple hard races. You know, well, the Preakness was the hardest race, but the Derby was really turned out to be fairly easy. But it’s a long year even up to that point, you know. You’re going into the Belmont. As Ron said, a mile and a half. That’s unknown territory. There was no guarantee and pedigree—the pedigree of Affirmed did not absolutely say he’s a mile and a half horse. And in fact, I don’t think a mile and a half was his probably best distance, but there’s always that question. It’s really, you know, my big focus was just to try to get the pace slowed down and run our own race, run the race we wanted to—we had determined would suit us best. And of course that all worked out. But obviously with the great stretch duel that we had, I do remember thinking at the top of the stretch it was—that we were going to have to dig deep because I knew that Alydar was breathing down our neck and it was just one of those situations where you knew you had to come up with everything you had and thankfully Affirmed was that kind of horse that the more you asked the more he gave. And it was a thrilling way to win the Triple Crown. Jennifer Paull: Thank you so much. Mike Brunker: Hi. I’m going to throw this out to everyone if I could, and it’s basically the same question I asked Randy. You’ve all been involved in racing now for a long time. You’ve seen the steady decline in its popularity, and you know about the troubles that are going on now. How big an opportunity do you see an actual Triple Crown for the sport and what does sports leaders need to do to kind of take advantage of that to reverse the momentum? Billy Turner: This is Bill Turner. Hello. Eric Wing: Go ahead, Billy. Billy Turner: I really—I don’t think that the sport has declined at all. In fact, I think it’s gone—it’s improved. The only thing is we don’t—our audiences are not at the racetrack. They’re watching them on the computer. They’re watching them on simulcasts. And the betting worldwide is going way up with Telebet and various things like that. And so it’s deceiving. We’re just not getting the people going to the racetrack, but they’re betting on the horses. And so what we’re trying—what we really want to do is we’d like to see more people in the stands jumping up and down and hooting and hollering. But, well, that’s just the way I look at it. Mike Brunker: Thank you. Anybody else? Steve Cauthen: Yes, this is Steve Cauthen. I agree very much with what Bill said. I mean, I think racing is still a great sport. I think there’s a lot of interest still in it. But of course we’re also competing against back in the day when there was 40,000, 50,000 every weekend. It was virtually the only gambling vehicle that there was. And now there’s lotteries, and casinos, and everything all over the place that gives people other opportunities to wager on things and follow other sports. So the thing is, it’s not an easy fix. I think a lot of people have thought about it and tried to figure it out and it’s just not so easy. It just somehow has to gain new fans, younger fans, and drag them away from other things that are probably less intensive learning curve. You know, following racing is something that you have to really focus on and learn quite a bit about before you get too deeply involved. Sally Hill: This is Sally Hill. I think having a Triple Crown winner would help racing and the interest in racing. I’ve been surprised since the end of—since the Preakness was run on airplanes and supermarkets and wherever I am, I do hear people talking about I’ll Have Another and saying, “Do you think that horse can do it?” I think it would be a great help. It’s not going to solve all our problems by any means, but I think it would be a great help to bring that interest back if we have a Triple Crown winner, because people are paying attention. And I agree with Billy totally. They have a lot of ways to pay attention that we don’t see them at the racetrack and that’s a shame. Maybe the tracks need to do something to get people coming back. But I do think we take a step forward if we have a Triple Crown winner this year. Mike Brunker: Great, thank you all. Eric Wing: Yes, Penny. Go right ahead. Feel free to answer that question. Penny Chenery: I was just going to say that I think as Sally said, there’s a lot more sort of general interest in racing now because of this opportunity. And if we do have another Triple Crown winner, it will bring new fans into racing. And I’m always an optimist. I think if we have a new crop of fans, we can do a better job to give them a positive experience and let them see how exciting horses are. Just—horses are so noble. They do everything they can to please us and they’re so big and it could so easily go the other way that it’s a very romantic experience that we horse people have with our horses. And I think that’s something that we can convey to the new fans. Certainly we have bad press, and problems in racing, but for the six of us, our job is to sell racing and sell the beauty of the animal and the excitement of the challenge, and not be distracted by the bad things that are happening. Mike Brunker: Great. Thanks, everybody. Penny Chenery: Can I just say one more thing? Eric Wing: Go right ahead, Penny. Penny Chenery: Just that particularly to my fellow owners, girls, I will not be with you at the Belmont this year. You’ll have to carry on the Triple Crown crowd without me, but have a wonderful time. And it’s been great talking to you all. Female Speaker: Okay, we’ll miss you, Penny. Ron Turcotte: Well, I’ll tell you—this is Ron Turcotte. I would like to bring back the golden age of racing. It’s just—it was so nice when you step up on the race track and you’re looking at 30,000, 50,000 people, day in and day out. In New York I guess the average for only 35,000, 40,000 people a day and it was so great. Now I go into the races, now on a big day, when I go now, on a weekday, you can shoot a cannon at the grand stand and you wouldn’t hit anybody. I think it takes a lot of excitement out of it. Operator: Thank you very much. The next question comes from Jennie Rees of Courier Journal. Please go ahead. Jennie Rees: Yes, this is for Steve and Mrs. Wolfson. When I heard this I was kind of (inaudible) Triple Crown winner has ever started out its career in California, and given that, you know, Affirmed—you all had experience on both coasts. Is it just too small a sample? I mean, there’s certainly been some California horses going for the Triple Crown and then got beat at Belmont, or is there some reason behind that? Steve Cauthen: Yes, this is Steve Cauthen. You know, I really don’t think—yes, I think the sample’s too small is just obviously—obviously we were out in California. I mean, we didn’t necessarily start in California but Affirmed raced in California as a two year old as well as a three year old, dating up to the Triple Crown, and you know, a good horse is a good horse, and a good horse is a horse that can adapt to different racks in different situations, and obviously I’ll Have Another can run on polytrack, and Churchill Downs, and Pimlico, and he’s, you know, only got a (inaudible) at Belmont and that will take care of itself. You know, I really think, you know, that that’s kind of a myth situation and something that probably will be proven wrong on the 9th of June. Jennie Rees: And another question I had for whoever would care to answer this, is following up on some of the earlier questions, that even as racing does have its problems, it seems like if you look based on field size, these Triple Crown races have become more and more popular and there’s more and more horses in them than ever before, and how much a factor is that do you think in both lack of a Triple Crown in the last 34 years? There’s just more horses in the races. Billy Turner: This is Bill Turner speaking. Well, one of the biggest—one of the biggest things you have to overcome is the Derby which is—has become very, very difficult race of all, I consider, because of the size of the field and you can’t win the Derby and have a rough trip. It doesn’t happen. So with all those horses in there, somebody’s going to have a rough trip and maybe should have won the race and didn’t. Operator: Thank you very much. We’ll take the next question from Beth Harris of Associated Press. Please go ahead. Beth Harris: Hi, this question is for Billy. I’m wondering, going into the Belmont you put two one-mile work-outs into Seattle Slew, while Doug O’Neill is using a series of strong gallops rather than formal work-outs to prepare his horse. And I’m wondering, what do you see as the pros and cons of each strategy? Billy Turner: I think—well, I think that it’s strictly a difference in the two horses. One, the reason that I worked Slew the way I did for the Belmont was not for fitness, it was for exuberance. I wanted to take a little bit of the edge off him, and it—because he was on top of his game and had an awful lot of horse. And the one thing I didn’t want him to do was go out there and run the first three quarters of a mile in nine and change and then it could have made him vulnerable. But so that’s—I wanted—that’s what I was—had in mind with him. And with—with I’ll Have Another, he just is a kind of horse you can do anything with. If you can—he has speed. You can use it, but you don’t have to. And that’s—it’s so—the way they train him for the race is—would be probably entirely different than the way of training Slew. Operator: Thank you. The next question will come from Jay Privman of Daily Racing Forum. Please go ahead. Jay Privman: This question is for both Mrs. Wolfson and then sort of a tangent of it for Steve Cauthen. Mrs. Wolfson, you’d said early on in the conversation that at first you didn’t want to relinquish the crown that’s been held all this time by Affirmed. I was just wondering what has caused you over the years to now feel like it’s time? Is it just that enough time has passed or you see a horse worthy of it, or both those things? And then the tangent for Steve, please to follow-up on, if he’s gone through a similar thought process as well. Thank you. Patrice Wolfson: There’s something about this chestnut that reminds me a little tiny bit of Affirmed, the way he just wants to win. And maybe it’s just time. Maybe racing could use a star and he could possibly the star. It’s thrilling to watch him run. Steve, do you have thoughts on that? Yes. Steve Cauthen: Well, when I look back at it, I remember I was in Europe at the time and they were calling me via satellite to talk to Chris McCarron, who was then going for the Triple Crown on Alysheba, who looked like he had a great chance to do it, and of course no win. When you’ve done—when you’ve been involved with a Triple Crown, I mean the last thing you would do is root against anybody else doing it, succeeding at it because it’s just such a difficult thing to do. Operator: Okay. Thank you. So the next question comes from Ed Fountaine of New York Post. Please go ahead. Ed Fountaine: Yes, Billy, following up on the question about the works, and I’d like Ron to chime in on this or anybody else. All three of those Triple Crown winners were all two year old champions and had very strong foundations early in their career. They all trained very vigorously in the mornings throughout the entire Triple Crown. This horse isn’t doing any of those things. Is there any advantage that you had with that foundation or that this horse doesn’t? Billy Turner: This is Bill Turner. In Slew’s case, everything that we ever did with him was—it was a day-to-day thing more or less. You had to—you had to deal with the physical thing and plus the mental thing, and the—so the—you just—you couldn’t compare him with what’s going on with I’ll Have Another. And just too entirely different horses. Ron Turcotte: This is Ron Turcotte, pick up from Billy. Ron Turcotte: We had to train horses—well, I’m not training. I’m just a jockey. But two horses cannot be trained the same. I’ll give you a good example just going into the Belmont. This is not a Triple Crown winner, but Riva Ridge. I was working him completely different than when it came to Secretariat. Secretariat was a big, strong horse and a big doer. I mean, he ate a lot and so you had to do more with him, and heck, he worked in record time, while Riva Ridge, if I’d have done that with him, I probably wouldn’t have any horse left for the Belmont. So every horse has got to be trained to the way—I mean, differently. Patrice Wolfson: Right. I just wanted to say, you know what Laz had to do with Affirmed, because he had started to lighten up. So the weeks prior to the Belmont, and if Steve is back on, he will chime in on that. He was lightening up and he was growing, and it was probably not—he was not at his peak. And so Laz had to train him very carefully to do a little bit, not to do too much. He did just a magnificent job. Steve Cauthen: This is Steve Cauthen. That’s very true, and I know that he really did take—I mean, we didn’t really do a lot with him. In fact, I’m pretty sure he didn’t work him before the Belmont. If he did, it would be more like a two minute like type of thing. Steve Cauthen: So, but as you said, yes, so it’s a long, hard road to win the Triple Crown, and obviously Affirmed had a good temperament for it, but luck is what helped him get through, and of course, Laz’s great training. Eric Wing: And this is Eric. I hear we do have Steve Cauthen back on. Glad you’re back with us, Steve. Steve Cauthen: I didn’t know I left. I was talking away. Eric Wing: If you remembered what you said, if you remember what you said, because we were going to ask you to repeat your response to Jay Privman’s question about what was your thought process in kind of going from being honored to be the last Triple Crown rider to now be willing to pass the torch, so to speak. Steve Cauthen: Well, okay, I hope I’m still on now. But I was just saying that I was in England in 1986, you know, six or seven years after winning the Triple Crown. And of course Spectacular Bid nearly did it the next year. But in 1996, I mean, Alysheba looked like he was certainly capable of winning the Triple Crown. And you know, you would never root against anybody. You know, Chris McCarron was a great friend of mine. I was pulling for him to win it, and of course, you know, for whatever reason horses, you know, have a (inaudible) day, they don’t like the track, it’s too far for them, you know, the Triple Crown grind finally starts to get to them. But of course there’s been 10 others since, and a couple of them, and in fact, most recently Big Brown who looked—I mean, of course I know he had a couple little light hiccoughs, and really, that’s all it takes. (Inaudible) had some issues, and but on the day, who knows, whether it’s the deep track or the hot day, or just the Triple Crown road was getting to him. No, I mean, I’m ready to pass it on, especially to this seems like a great team. You know, Doug O’Neill, I’ve been impressed with him, and Mario Gutierrez, seems like a great kid. Just I admire his confidence and his relaxed attitude and his gratefulness to be in the situation that he’s in. So yes, I’m rooting for him 100% and that still won’t mean that they can pull it off but I’m thinking that they’ve got a great chance and I hope it works out (inaudible) and it all goes well. And I think the whole racing world is just dying to have another great horse come along and capture their hearts. Eric Wing: All right, thank you. Eric Wing: We heard it all that time, Steve. Thanks very much for doing that again, and Michelle, we’re ready for the next question. Operator: Thank you. The next question comes from John Powers, Boston Globe. Please go ahead. John Powers: Yes, I had a question for Steve and Ron. I think Steve had mentioned earlier about running your own race. And I was just wondering, in both your situations where there hadn’t been a Triple Crown winner since Citation in Ron’s case, and you had, you know, what people were looking for to as a magic race in Steve’s case, how difficult is it to run your own race and how tempting is it to listen to all of people who think you ought to be doing something else? Ron Turcotte: Well, in my case it was very—Lucien—Mr. Lauren, I should say, the trainer, he gave me a free hand and always told me to use my best judgment and ride him like I own him. And I think it really worked out good. It’s just I didn’t feel no pressure. So when I was making a move like the one I made the Preakness, I thought it was time to get by them when I seen them all take a hold of their horse and try to slow down the pace, and I said, well, I’m going to ride my own horse. I’m not going to ride the other horses. So I did, and I went on and I galloped the race.